Weekly topic at work was to recreate a new Street Fighter character. 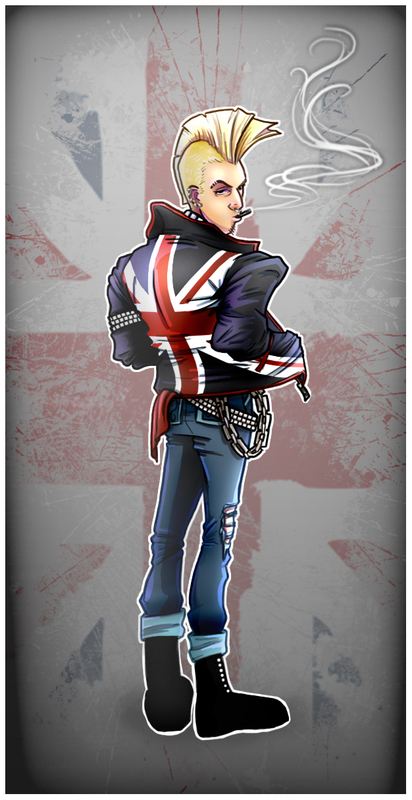 Took me a while just to come up with one and was kind of going for a bit punk-ier Billy Idol kinda of flavor to him, but I think he ended up just looking like a punk or rock and roll dude than a punk rock and roll dude that could fight. Meh, oh well. Either way I kind of like how it turned out.